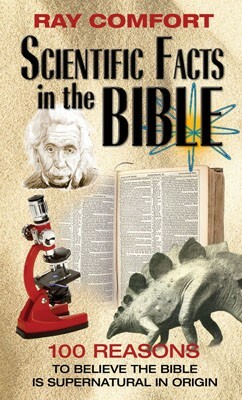 This book shows the scientific facts that existed in the Bible long before "science" became aware of them. An elderly lady once left $20,000 and "my Bible and all it contains" to her nephew. The young man knew what the Bible contained, so he didn't bother to open it. He merely picked it up and put it on a high shelf in his house, and headed for Las Vegas. It wasn't long until all his money was gone. He lived the next 60 years as a pauper, scraping for every meal and barely having clothes on his back. "Love it. I looked up everything in the Bible and you know what....its all there! Great book! I recommend to anyone who doubts the Bible or is just interested in some of the truths revealed in it." "Wow... I didn't know! I read the Bible, but after reading this little book, it was as though I hadn't read it at all! And there were some "facts" I questioned, but then when I did the research, Ray Comfort was RIGHT! I realized there was a lot more to learn from the Bible, and I'm looking with new eyes now." 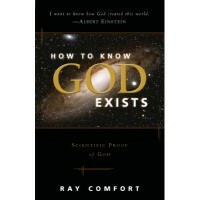 "Ray Comfort covers, in a nutshell, subjects from medicine and biology to astronomy and archaeology - all in his easy-to-read and entertaining style. 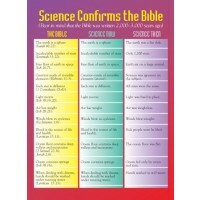 For its quick overview of the highlights of the Bible's scientific accuracy, this little book is in my top ten. But then, in my humble opinion, Ray Comfort is one of the best writers ever." Clear and enjoyable to read. Review by William S.